This list is just a compilation of HR Email IDs for Tech Companies Karachi. Hence, we would advise you to not give the reference to this page while applying. The aim of this list is to help out people who are looking for vacancies. TechGrasp does not take any responsibility for any information being incorrect or wrong. 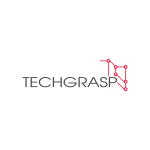 For any query, modification, addition or removal of anything in the list, please email us at techgrasp.pk@gmail.com. Make sure you have no mistakes in your CV. Always write a proper SUBJECT in the email and a COVER LETTER in the email body. REFRAIN FROM GIVING THE REFERENCE TO THIS PAGE while applying. Please DO NOT send your resume/cv to all the email ids once using CC or BCC. Most importantly, please do not spam! This list is of Karachi offices of the IT companies.